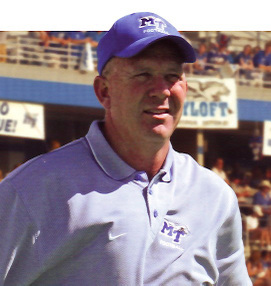 For the first time in 24 years, Rick Stockstill's business card doesn't say Assistant Coach. It now reads Head Football Coach, thank you. Though everybody at Middle Tennessee State — from student trainer to school President — believes "Savior" might be more appropriate after five losing seasons. 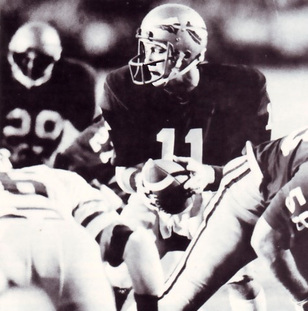 But long before he became known as an offensive whiz and recruiting genius, Rick led FSU to signature wins against Nebraska, Ohio State, Notre Dame and Dan Marino (beating Pitt when Dan was a sophomore). What are his memories of those landmark games in 1980 and '81? How does he compare Coach Bowden with Steve Spurrier, for whom he coached in 2005? And is the goal of someday succeeding Bowden the top rung on his career ladder? Rick answers those questions and many more in our latest Garnet and Great feature.